Last month I spent some time vi siting friends in the North of England, in the Yorkshire area. I met Ben a few months earlier and had noticed the forest (garden) which surrounded his lovely home near Halifax. It was in need of some attention and I suggested that I could take it on as a small project. When I visited again in early September, the weather was wild and I had grown soft. Strong winds and torrential rain sent me indoors. All was not lost, the forest garden was ripe with life and in one corner a rather unruly plum tree was weighed down with beautiful purple fruits. I didn’t know much about fruit but I hoped I could make something out of nature’s kind offering. I saw it as an opportunity to teach myself about the fruits of nature, and maybe some day I would have my own garden produce to harvest. On my first evening in Ben’s place I was shown around the well equipped kitchen. I spotted some large bowls, perfect for collecting natures offerings. 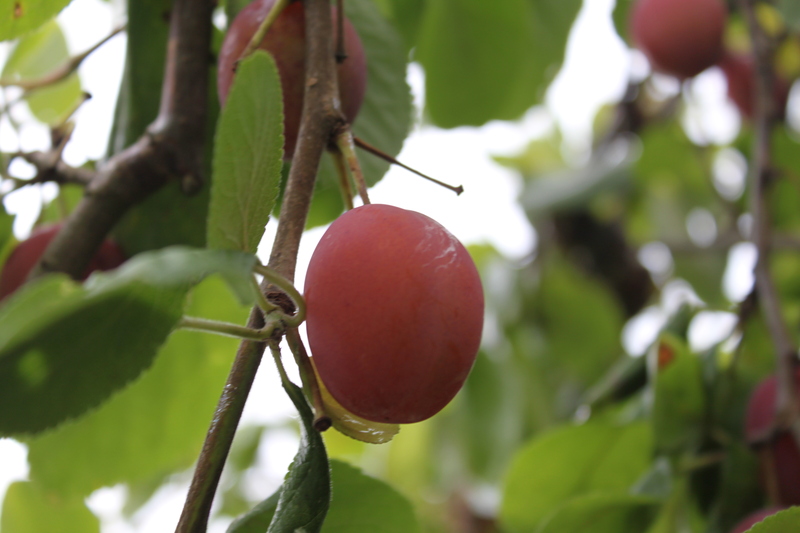 I made a b-line for the garden and in moments I filled two large bowls with plums. 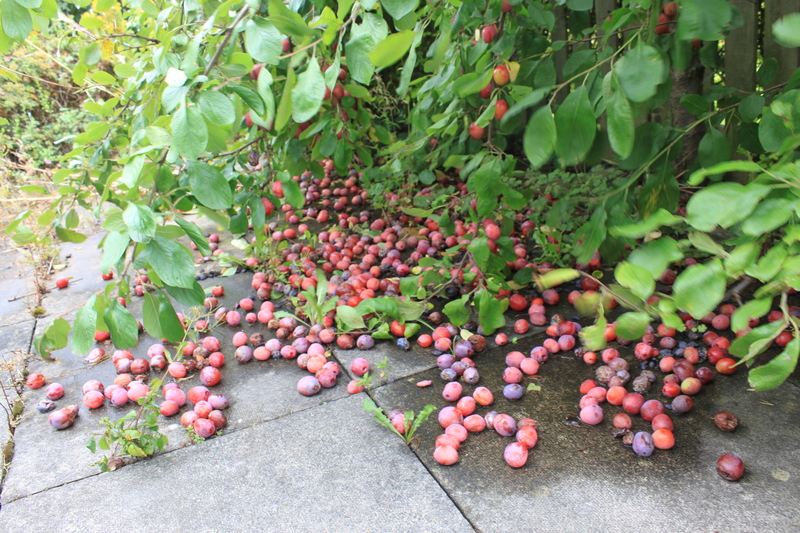 The strong winds helped with some plums literally jumping into the bowl. Ben’s curious and intelligent sheepdog Tyke came out to supervise my efforts. The wildlife inhabiting the garden were taking full advantage of the harvest too. I met snails, slugs, earwigs, flies and wasps enjoying the plums. There was plenty to go around so I suspected they were happy to share! The first harvest of plums went north to the friendly cavers of the Bradford Pothole Club. The sweet plums went down very well and I decided to do more with the fruit. I began researching jam making. 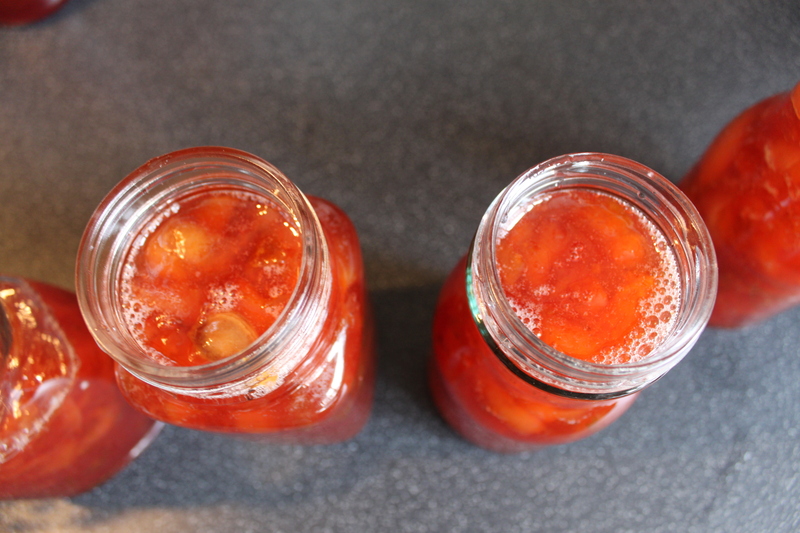 When I was younger I helped make gooseberry jam at home and from what I remembered it seemed relatively straightforward. For the next few days I went about collecting the necessary jam making equipment. The fruit was in abundance. 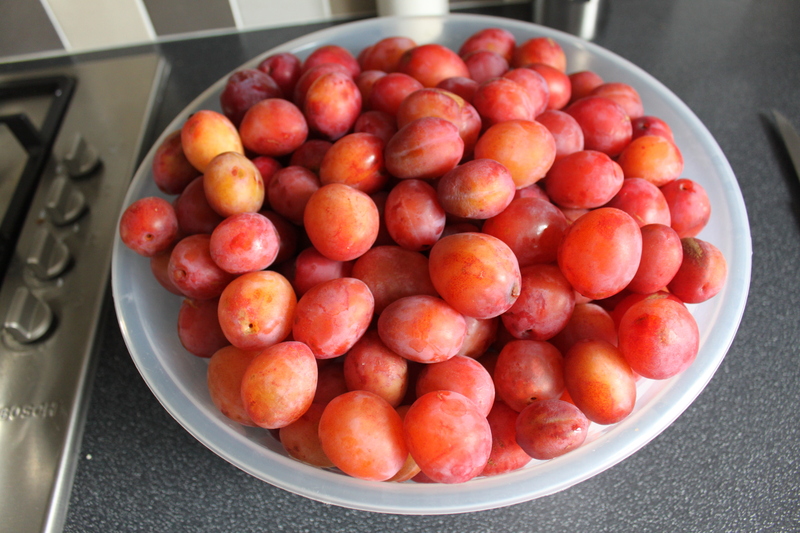 I easily collected 10kg of plums which were washed and sorted. I opted for special “jam sugar” in the shop. I rounded up as many empty jars as I could from the house and randomly knocked on doors in the neighbourhood looking for more. I got some strange looks from housewives in bathrobes and elderly ladies on an overcast mid-week morning. After the initial surprise of my request wore off, I was rewarded with empty jars. A trip to Halifax (in the rain) provided me with the final pieces of the puzzle. 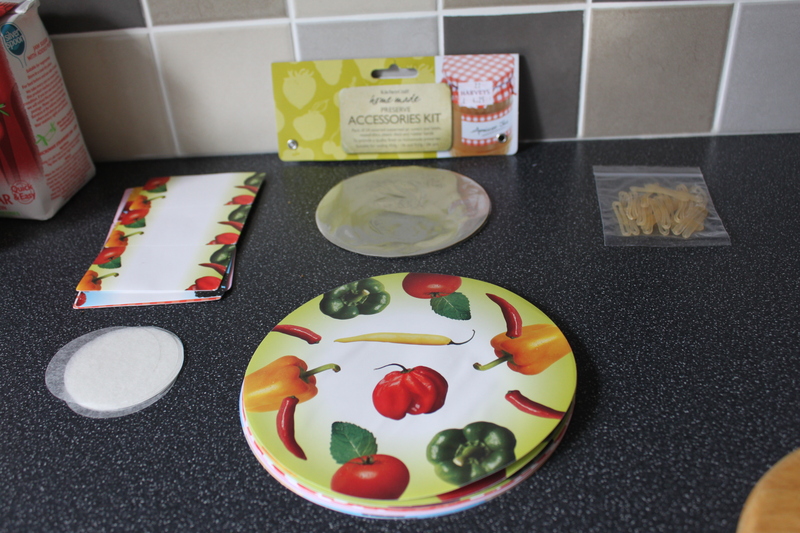 After some searching I found a jam making kit, complete with plastic circles, wax discs and pretty coloured labels and paper. My research gave me direction on how the jam should be made. I took on board some of the advice and disregarded anything technical or complicated (like sugar thermometers?) 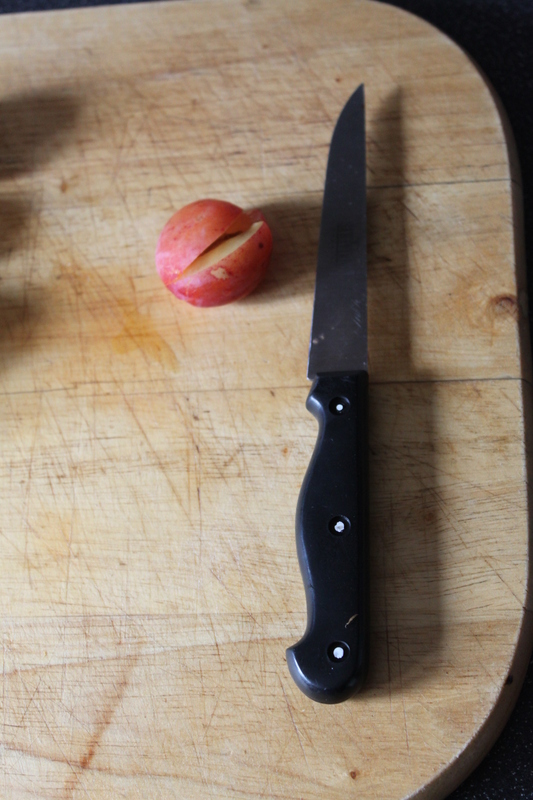 I started by preparing the plums. Some recipes instructed you to remove the stones before cooking, others advised you to slit the plums and the stones would rise to the top and could be fished out. 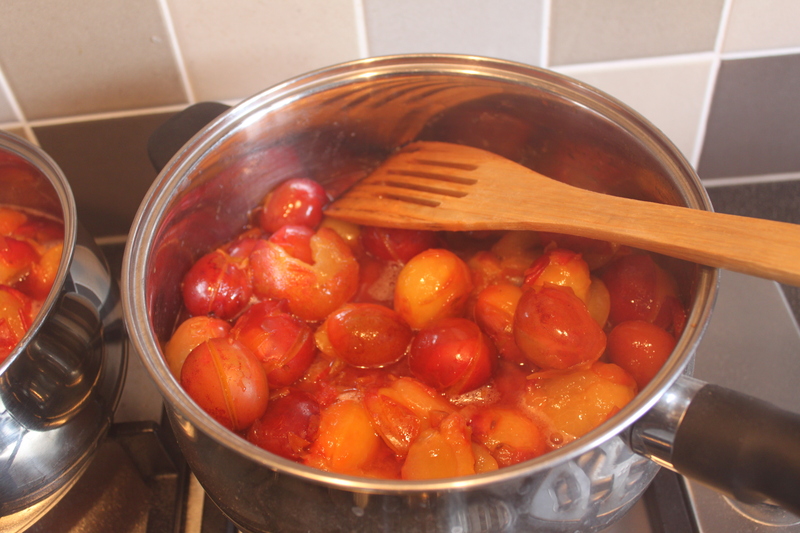 With the first batch I took the lazy option, placed a slit in the plums and left the stones in, to be fished out later. With subsequent batches I removed the stones before cooking as I got fed up fishing for the pesky stones! I weighed the fruit and placed it in a saucepan and added a small amount of water. I heated this on a low heat until the fruit was completely soft. I then added an equal amount of sugar to the fruit. Then came the technical part. From the recipes I understood there were two important factors – the temperature at which the jam should be boiled and the length of time it should be boiled for. I gambled. I boiled the mixture at an unknown temperature for an unknown time and then did the “pucker test”. I placed a small amount of jam on a plate, allowed it to cool and tried to push it with a spoon. This tests the jam to see if it has set. I gambled some more, and decided it was ready. 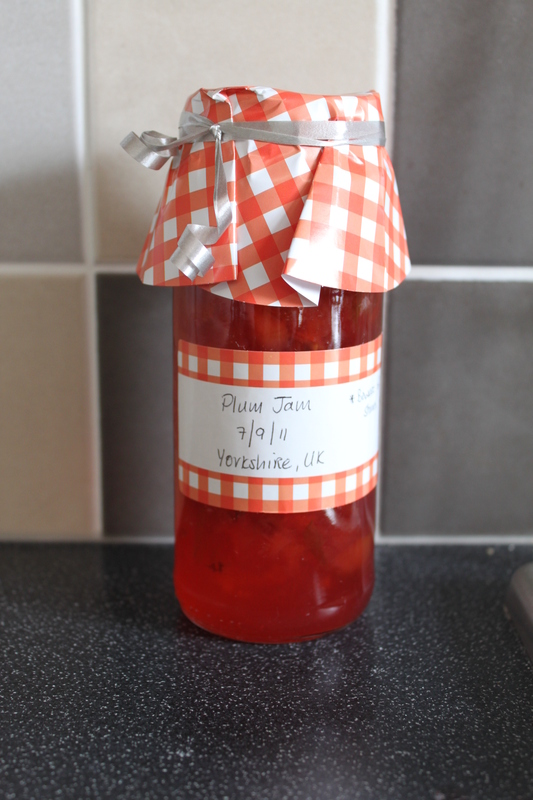 I poured the jam into sterilised jars and carefully placed a small wax coated circle of paper on the top. Then I covered the jar with a plastic cover and elastic band. 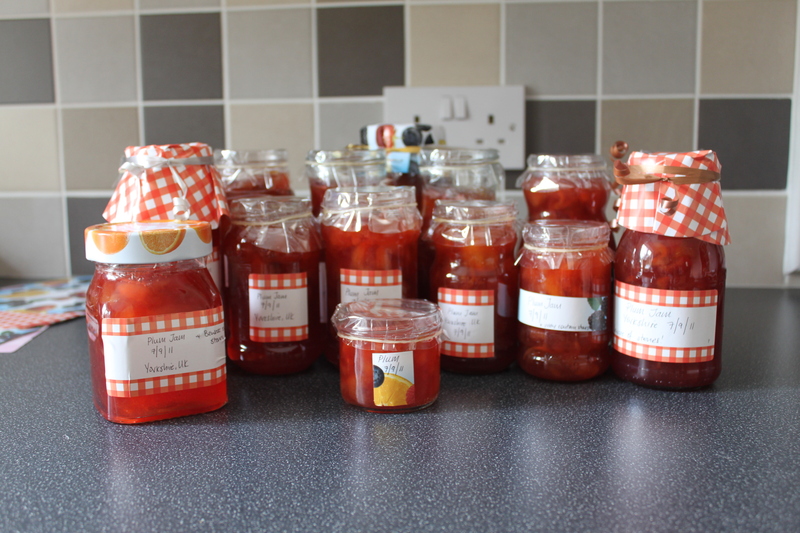 When the jars had cooled I labelled and decorated my small jam family. 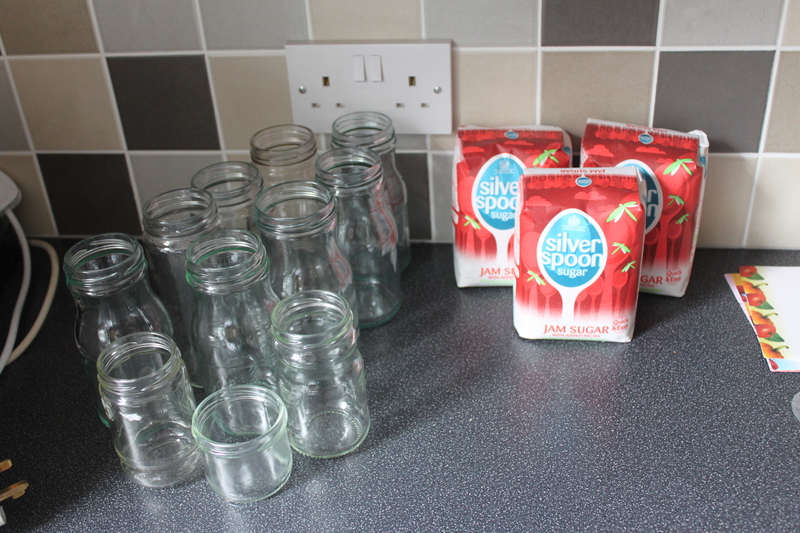 I ran out of jars so I bagged and froze the remaining fruit – maybe Ben will be inspired in the future! Soon the jam family went their separate ways. Some stayed home with Ben and hopefully made there was from his kitchen to loving homes among his friends! The rest travelled west with me on the ferry to Ireland. In Dundalk, my mum approved the jam as edible and polished off two jars in record time! Two jars travelled south to Limerick, traded for laughs and funky dance moves! One brave pot crossed the border, and was exchanged for friendly relaxed conversation. Two made the longest trip, carefully protected inside my hiking boots, they flew across the Irish sea and North sea to Denmark. Here they were given as gifts to my new family hopefully in exchange for support, company and friendship. 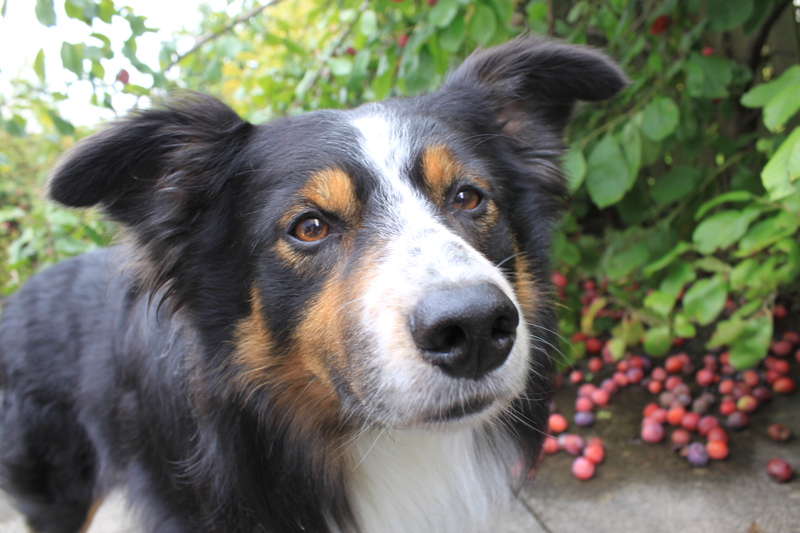 Ben– thank you for your plums, your kitchen and your company. But more than that, thank you for helping me give a personal gift to some of important people in my life. A gift from nature and me.